I considered having a sleep study done in the 1990s, when my sleeplessness at the beginning of the night morphed into insomnia surf ‘n’ turf. Trouble getting to sleep? As frustrating as ever. Trouble waking up early? Now I had that, too. Not to mention that a snort or quiver from my husband in the middle of the night could blast me through the roof. Once I was awake, it took me ages to fall back to sleep (if in fact I did). I never knew when sleep would come or how long it would last. My strategy was to read myself to sleep in a comfortable armchair, but there were nights when by 3 a.m. it was clear I wasn’t going to sleep at all. These all-nighters were no fun. I sought relief from the anxiety they created by plopping down in front of my Mac Classic, whose 24-hour companionability, together with a glass of wine, helped ease my tension till dawn. There were also catch-up nights when I slept a whopping 6½ hours. More than six hours has always been a long sleep for me—the equivalent of 8½ or 9 hours’ sleep for most other people I know. If I spun the Wheel of Fortune by going in for a sleep study, on which kind of night would the wheel come to rest? And how could a single night possibly serve as representative of the whole? A week’s worth of sleep studies would be needed to capture what was going on with me at night. Years later I did call to inquire about having a sleep study at a research institution nearby. A screening technician asked a series of questions and then she told me that in my case, a sleep study would not be advised. Later I found out why. If my answers had suggested I might have sleep apnea (obstructed breathing), seizures, heart trouble or movements such as occur in people with restless legs or those who act out their dreams, the screener’s verdict would have been different. These problems, which cause poor sleep, are the ones sleep studies can readily identify, and identification points the way to treatment. But the conventional sleep study has not helped much in the diagnosis and treatment of primary insomnia, which is what I have. 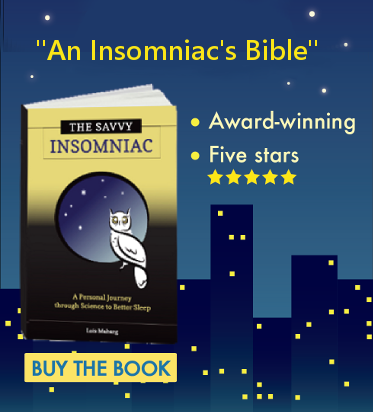 In fact, up to 50 percent of the time, the brain activity in insomniacs looks the same as brain activity in champion sleepers who report getting 7 or 8 hours’ sleep a night. Sleep studies are useful for insomniacs only when a clinical interview does not yield a clear diagnosis, traditional treatments fail or violent behavior is suspected during sleep. If you’re considering raising the issue of a sleep study with your doctor, by all means do so if you’re overwhelmingly sleepy during the day, you snore or wake up gasping for breath, your legs feel jumpy at night or you wake up hurting in the morning. Otherwise, save yourself $2,500 and a night trussed up like Thanksgiving turkey in a sleep lab. 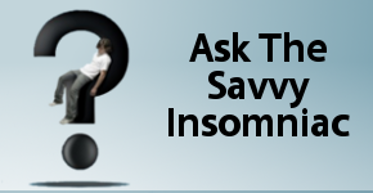 Find a doctor who will diagnose and treat your insomnia based on a thorough clinical interview, and you’re set.